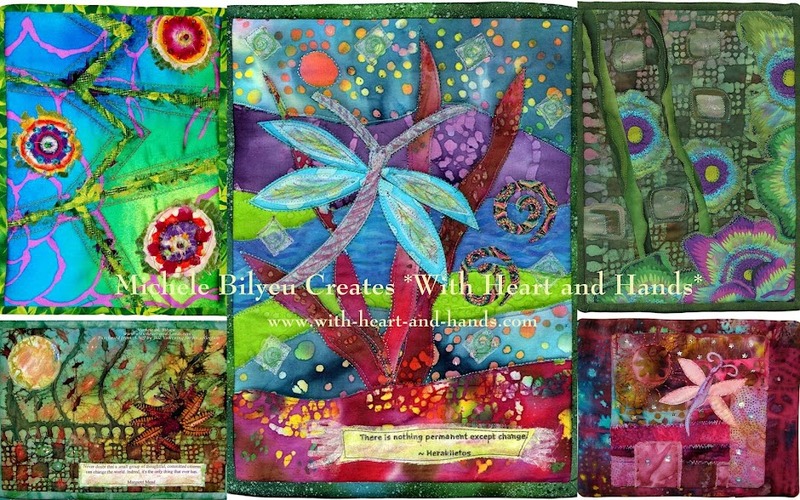 Michele Bilyeu Creates *With Heart and Hands*: 1,000,000 Visitors !!! When I came online early this morning and noticed that my site counter read 997,559...I knew that it would hit one million visitors today. That not only blew my mind, but it gave me this huge rush of both gratitude and a strange sense of responsibility. I started this blog in the fall of 2006. I had 3 visitors my first week of blogging and maybe 10 for the entire month. I didn't know what to write about, and I certainly wasn't that great of a quilter! But I began blogging in order to have a place to create a social journaling of my life, I desperately needed more of a way to experience a sense of a larger community, and a way of reaching out to share, and in return, to receive back from the world. Most importantly, I wanted to be with more people who felt, or thought, or did the things that I so loved to do! I needed quilting friends! I had been involved in the fall of 2005, in a phenomenal project where 200 quilters met for 2 days and created 200 quilts to send to survivors of Hurricane Katrina. The energy that was created that day, the absolute and utter joy of joining with others to do something that felt so good and so powerful, was an energy that I wanted to re-create.....over and over, again. I had to force myself to show up at that first day of that Quiltathon, overcoming an innate sense of shyness since I didn't know a single person that quilted (besides my MIL) and knowing that I had never officially 'signed up.' It turned out that I was the first one in the door, and one of the last ones to leave. I absolutely loved it! I was hooked...not only on quilting, but quilting for a cause. It was such a joyful experience, two days where absolute strangers brought their sewing machines into small groups and spontaneously formed chains of command.....creating a cutting, piecing, backing, and quilting flow that was wonderful and felt very much like a modern version of an old fashioned quilting bee. All of our fabric and batting had been collected from donations, and all of us suddenly shared with others anything we might have to share. It was like a potluck, a picnic, a family reunion, and a holy communion, all in one. In those 2 days, my little group of 5 made 6 completed quilts and it was one of the best feelings of giving that I had every experienced. A number of us created an on-going quilt group that continued to meet every Monday from then on. 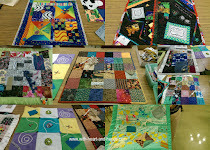 We made quilt after quilt for years and years with people both coming and going and the flow changing from time to time with group goals changing to personal ones. I set a goal for myself to make, finish, and donate 25 quilts a year...whether they were made from start to finish by me, or taken over at some point from someone else who abandoned them and left the pieces as sad little orphans. And in spite of all of life's challenges, I've continued to meet that goal for the past 5 years. My quilts aren't fancy, some of them aren't very big, and a lot of them are made from other quilter's castoff bits and pieces of fabric or blocks. But I've managed to make them and keep my goal, and that's what matters most to me. I began to blog about those experiences, in the fall of 2006. I had a need to share my feelings about quilting as a testimony to the joy, the amazing energy, and the passion for helping and giving to others, that I had been so blessed with. During my first full month of blogging, four women commented on my blog ... Finn, Paula, Shelina and Nellie and it felt so wonderful to find others who loved what I loved and were willing to leave me a comment! I feel so blessed that all of these women are still blogging and still my 'quilting friends' to this day. So, now 4 years later, when I look at 1,000,000 visitors...I think 'how can that be?' How can that many people have found this little blog in space and in time. When I look at things like google analytics or site meter, I know what it is that brings them here, so yes.....I know...... that people come here for all of the things that I give away for free....and not to visit me ;) But that's ok! You're here, you're part of my community and you're an awful lot of fun! Welcome: a little quilted wall hanging made spontaneously in 2007. I just cut out the pieces and the letters from cloth, and machine appliqued them on. Congratulations, Michele! Loved reading 'your story'. 1 million visitors! Wow! Congratulations. You write like an angel and you have a full and lovely heart. You care. And those are two of the many reasons that I visit you again and again. Congrats on your upcoing 1,000.000 I'm glad that I a few of them.Love seeig wht you have to say. Always a blessing to come to this site..it is upbeat and positive. Congrats on the MILLION visitor mark...seems impossible! Congratulations and thanks for reaching out to me. It blessed me more than you know! Here's to a million more! Congratulations! I don't comment often, but I'm a follower and check on you every day. Great blog! Wow! that's a big number! 125 quilts given away in five years! congrats on the milestone of a million and best wishes for many more years of quiltmaking. WOW! I am so impressed...not only because of your amount of visitors, but also with your story. rock on! Congratulations to you, Michele. That is an amazing number of visitors and I'm proud to be among them! You're doing great things. Congratulations!! wow, a million souls linked to yours...WOW!! Your blog is one I visit daily, so part of those hits...was me! Congrats on such a milestone! The good thing is we know there's more yet to come! 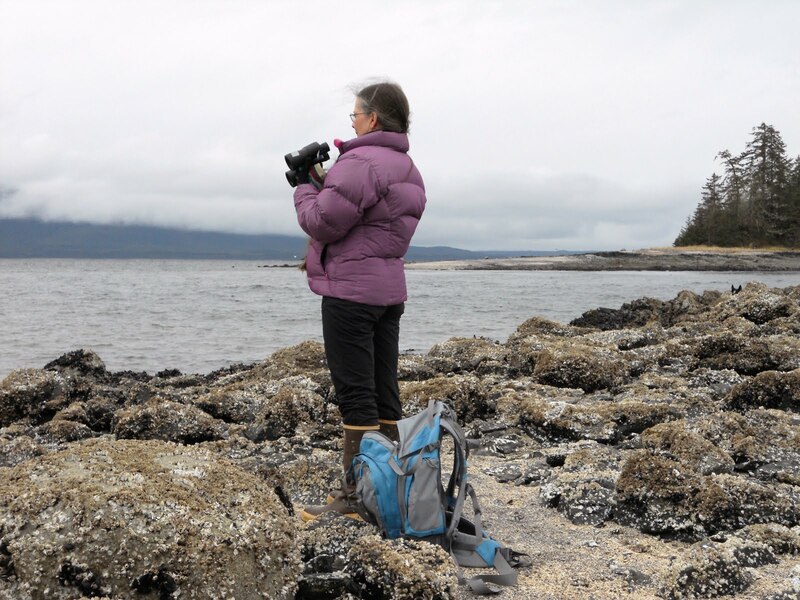 I came to your blog because of the links to free patterns, and I stay because I have been so moved by the story of your parents and their battle with Alzheimers (something I am all too familiar with). Thanks for sharing your quilting and your heart! Congratulations on your milestone! It is your warm and giving heart that keeps me coming back. Why, it's a big misunderstanding. I do not visit your blog simply for giveaways. Actually I had never joined one on your blog. I followed you because you're a quilter that quilts with heart and hands. All your posts are touching and inspiring. Thank you for being such a assiduous quilter! If bloggers have fans - then I am one of your fans. What a terrific milestone. On the days that I have little time to read blogs- I always stop off to see your posts. I know I will come away inspired. I admire your giving nature and your desire to share with others. Your readers are richer for your generosity. Wow!! That's impressive! What a great story. Thanks for sharing Michele!